Council is very pleased that the Proposed Development of Block 3 Section 12 Coombs – the ZAPARI Development has been refused on numerous grounds by ACTPLA. 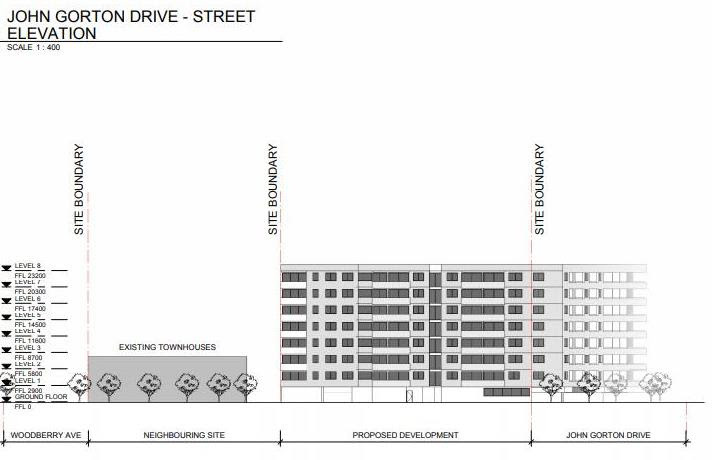 The proposal is inconsistent with Zone Objectives for the RZ5 High Density Residential Zone. The assessment concluded that the proposed development will not be conducive to a high standard of residential amenity. The development fails to make a positive contribution to the neighbourhood and the prevailing landscape character of the area. The proposal did not promote good solar access on the subject site, or the adjoining dwellings. 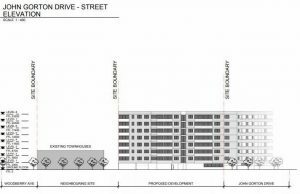 The proposal failed to demonstrate the suitability of the development for the site, having regard to the size, configuration and orientation of the site. The proposal also did not demonstrate the suitability of the land for the proposed development. The proposal failed to acknowledge or to provide any substantial analysis and/or modelling to establish the likely [potentially adverse] impacts of a proposed development on the immediate and surrounding environment – including the proposed yield of this development on remaining urban development within the wider [Molonglo Valley] community. The application was furthermore refused because it was found to be inconsistent with the Territory Plan.